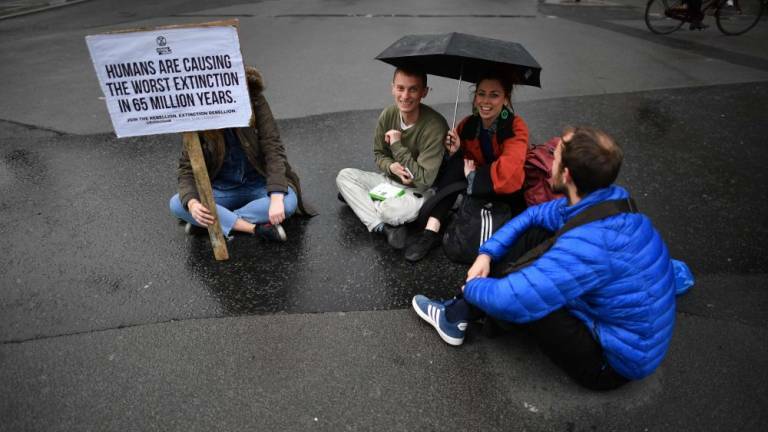 17 Apr 2019 / 10:03 H.
LONDON: Nearly 300 people have been arrested in ongoing climate change protests in London that brought parts of the British capital to a standstill, police said yesterday. London’s Metropolitan Police said that by yesterday evening, 290 arrests had been made. London mayor Sadiq Khan said he was “extremely concerned” about protesters’ plans to disrupt the underground today.